Mehendi is one of the traditional pre-wedding ceremonies organized in before Indian wedding. 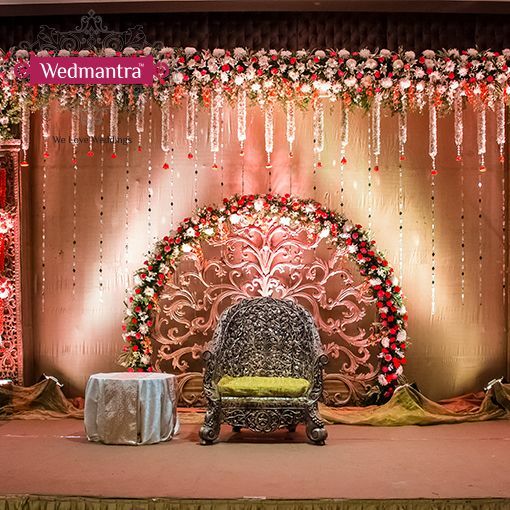 This ceremony has become such an important part of Indian weddings that no wedding can be imagined without it. Mehendi is also considered as one of the sixteen adornments of the bride, without which her beauty is incomplete. This ceremony takes place just before the wedding. So this ceremony is really important for a bride. To rock your mehendi ceremony and make it a success its really important to decide where it takes place. So here we bring before you some amazing mehendi seating ideas. 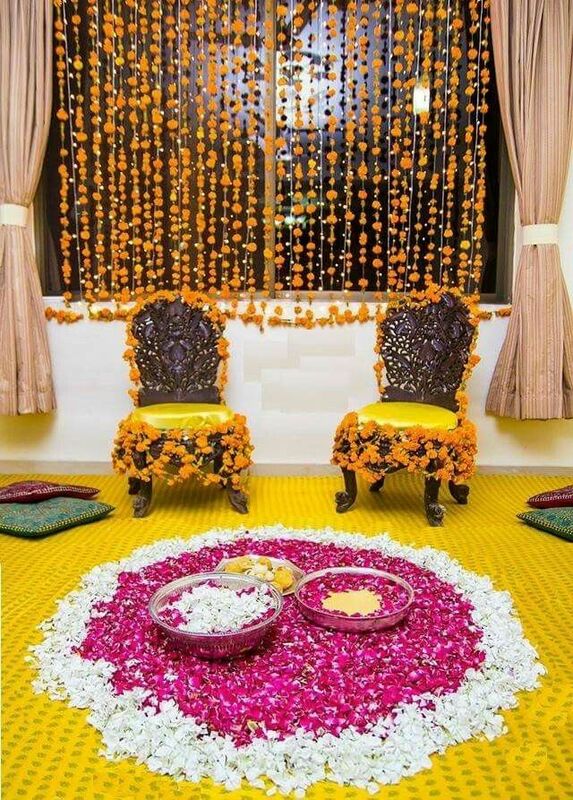 So scroll down to know more about the amazing mehendi seating ideas to rock your mehendi ceremony and make memories which would be cherished by you forever. 1) Do it the Cabbana Way! Cabbana Style is the way to go in 2018 especially if you are having your wedding in summers. This designer seating place would totally make your wedding an exquisite affair. 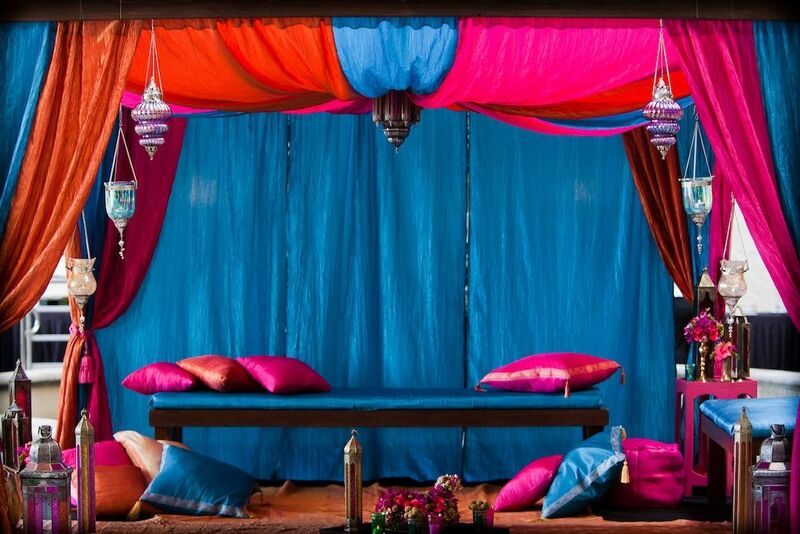 Try something new, by experimenting with this new Cabbana style mehendi seating. This has been an all-time favourite since time immemorial. With the flowers and their fragrance around, the floral mehendi seating place is a delight for the new bride. You could even use artificial instead of natural flowers to take it up a notch. Swings are an all time favourite of girls since their childhood. So why not use them as a mehendi seating place. 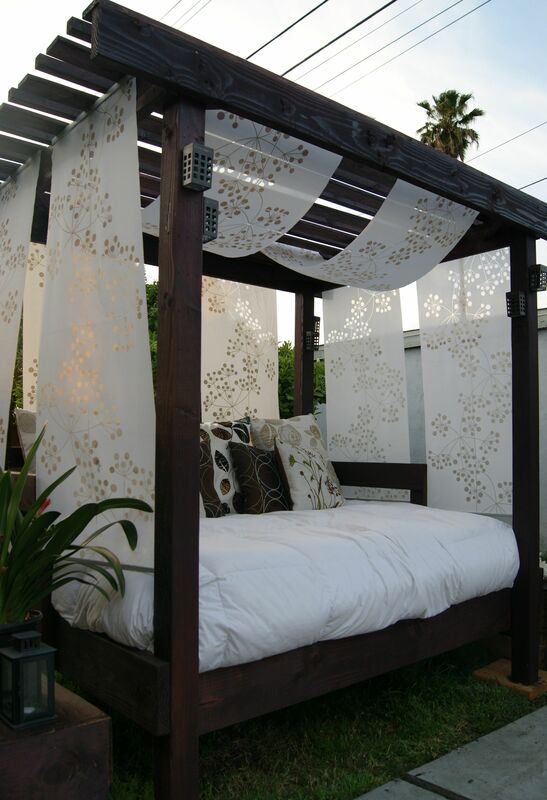 It is the most comfortable seating place for applying mehendi as it gives you flexibility and who wants to be stationary all the while that henna takes to dry up…So why not try this new Swing idea for mehendi seating this season. With all the little shimmery hangings and flower streams coming down to pastel shade seatings, the bride’s point or bride’s adda is one of the most trending mehendi seating ideas of 2018. Customized according to the bride’s wishes bride’s adda is worth giving a try. Do the mehendi function the lounge way. This seating idea is best suited in cases where you have to accommodate too many guests. 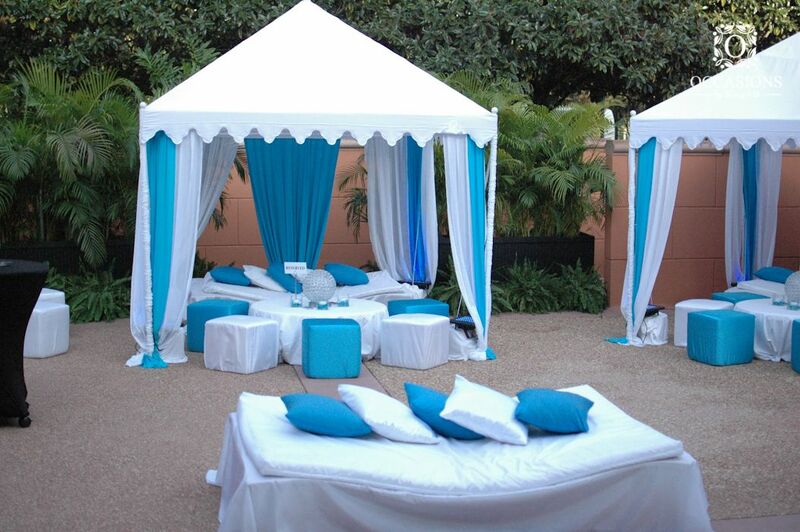 The lounge style is one of the most comfortable seatings for the bride. The old Divan style is still on trend with all the ombre hangings and sparkles in the background to make it a little quirky. 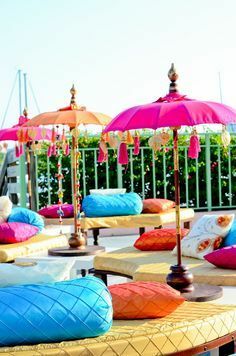 It’s an awesome seating idea, for the bride who wants to sit along with her besties and enjoy their company during the wedding function. 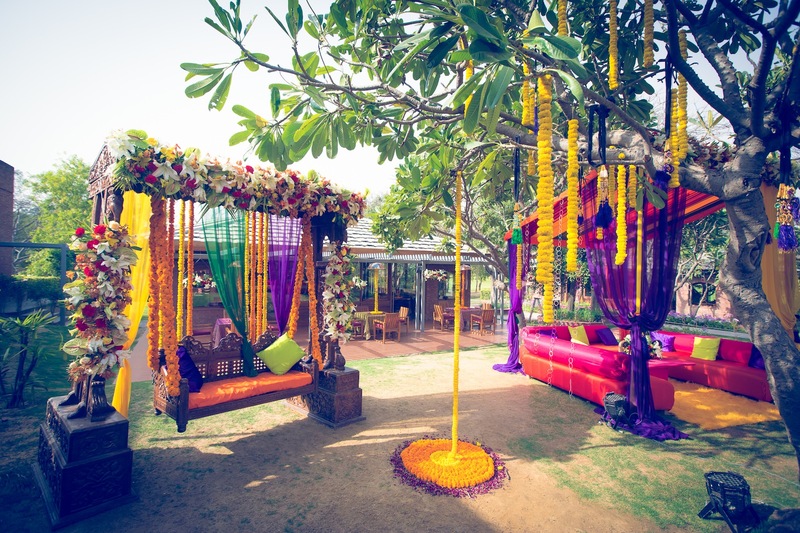 Why limit ourselves to small seatings, when we can take the grandeur up a notch by organizing the seating for Mehendi in an open-air amphitheatre. 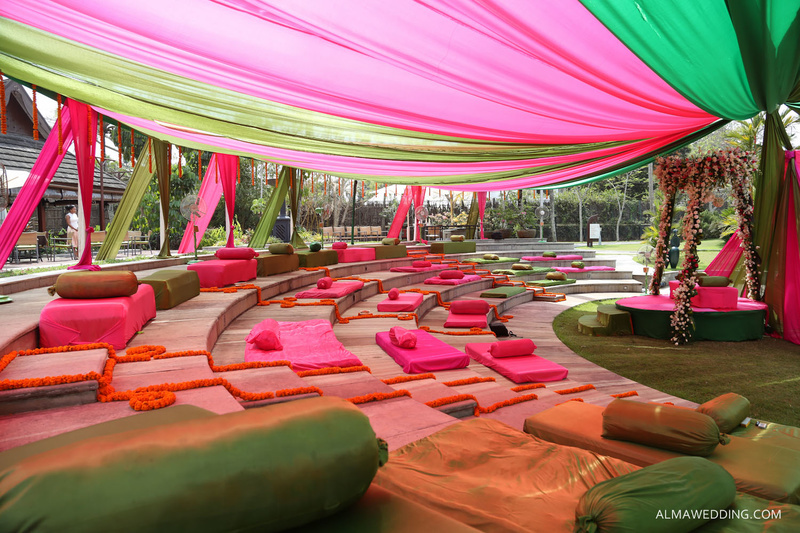 With the mehendi seating place, at the center of amphitheater, all guests can see the ceremony without any obstruction. 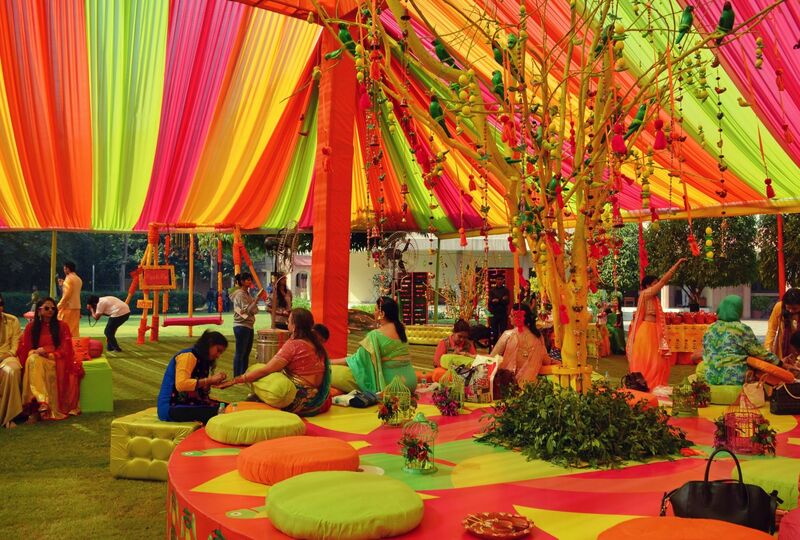 To make your mehendi ceremony an elaborate affair go ahead with the amphitheatre style. We hope that this list of ideas would inspire you to think out of the box and make your mehendi ceremony an event to be remembered and cherished forever. From simple to funky to pretty to elaborate, choose whatever suits you the best!